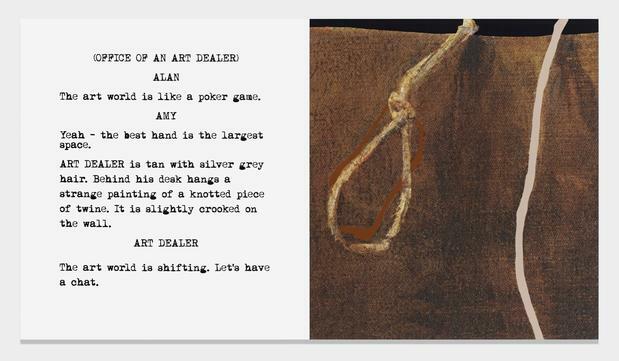 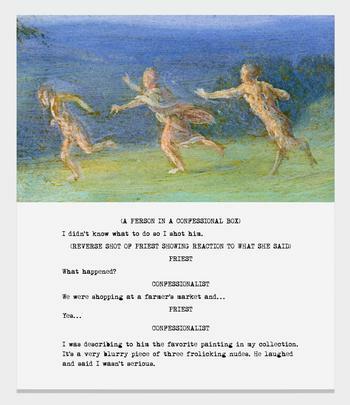 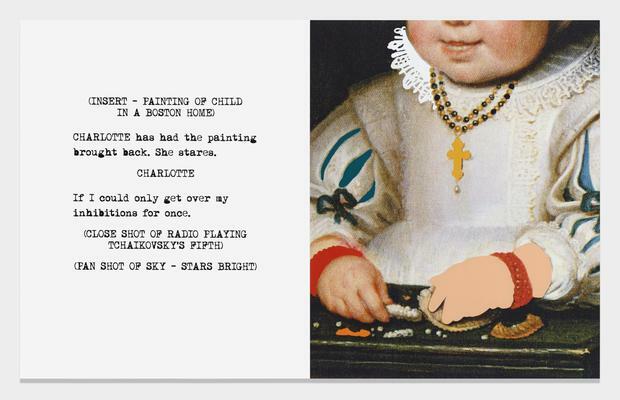 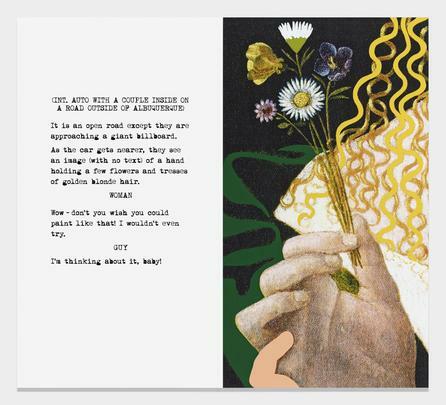 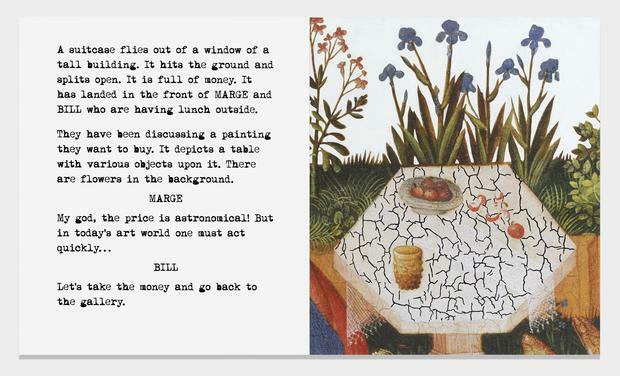 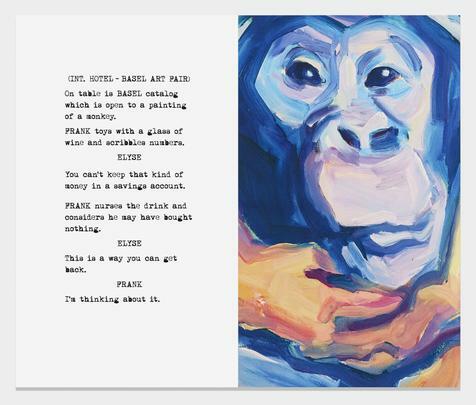 Marian Goodman Gallery is delighted to present an exhibition of new work by John Baldessari, Movie Scripts/ Art, 2014 which will open to the public on Wednesday, October 22nd, and run through November 22nd. 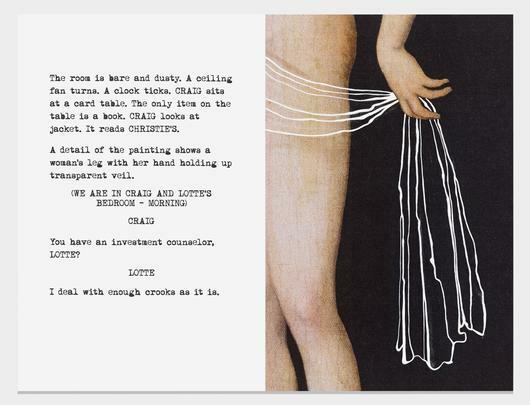 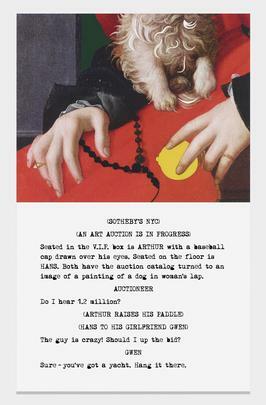 More recently, the Doubles series reinvented this coupling, placing art historical images with texts and disparate titles from film noir or popular songs, asking the viewer to fashion new meaning from old masterpieces. 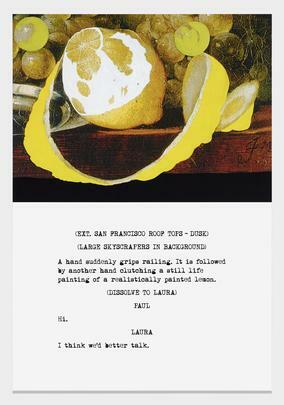 The recent Storyboards (in 4 Parts), and Morsels and Snippets, similarly culled material from newspapers and magazines, placing it with on the one hand, text and color charts, or on the other, high-end food entries, as a commentary on narrative sequencing as well as our cultural preoccupations. 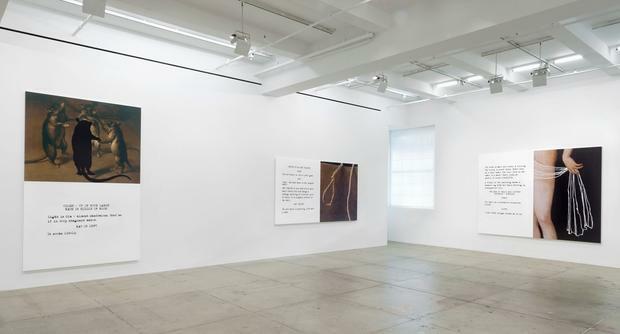 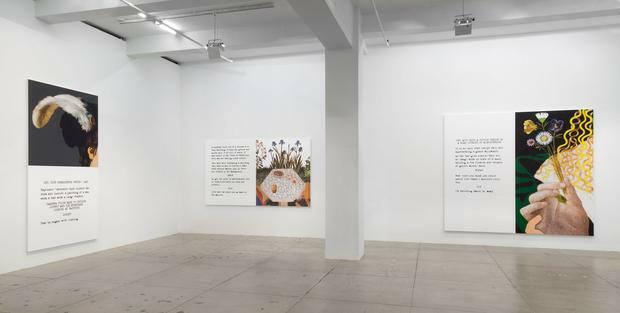 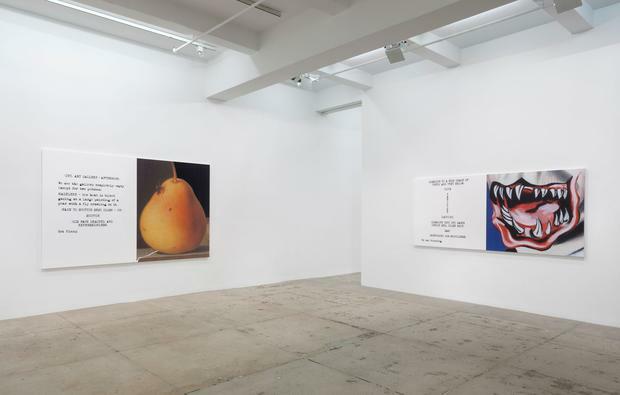 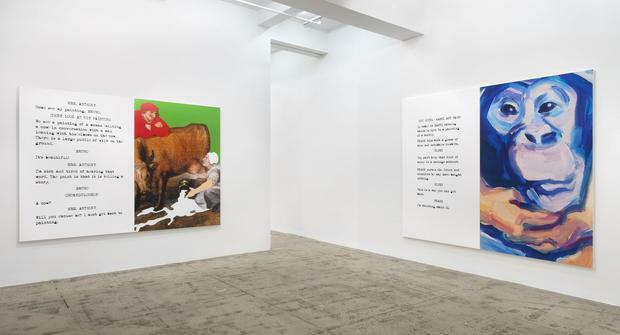 John Baldessari’s recent solo exhibitions include Your Name in Lights at La Monnaie de Paris, which was on view in September/October, as well as John Baldessari: 1+1=1 at the Garage Center for Contemporary Culture in Moscow which ended last November. 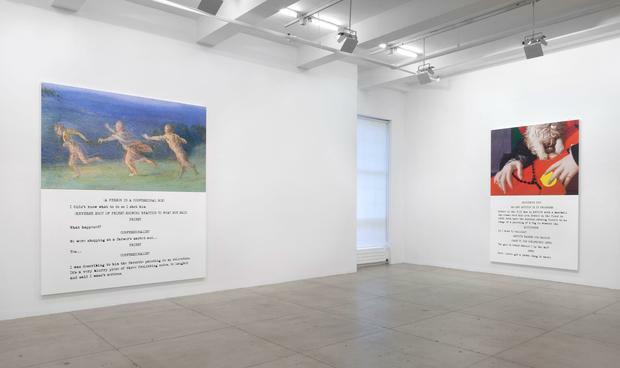 Forthcoming shows include an exhibition at Städel Museum, Frankfurt in the Fall 2015. 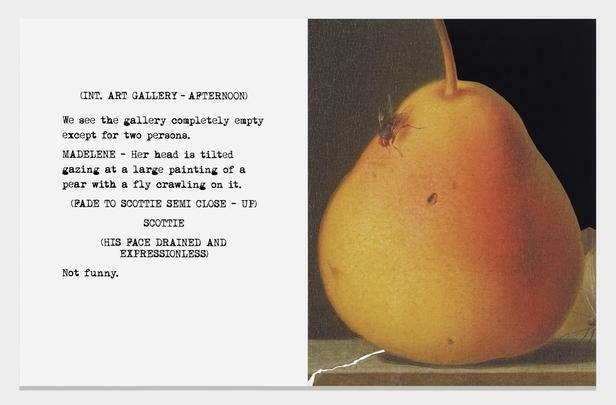 Baldessari’s work is currently included in Damage Control: Art and Destruction Since the 1950s which premiered at the Hirshhorn Museum and Sculpture Garden, Washington, D.C. in the Fall of 2013, traveling to MUDAM - Musée d’Art Moderne Grand-Duc Jean, Luxembourg this past Summer/Fall, and will open on November 14th at Kunsthaus Graz, Austria. 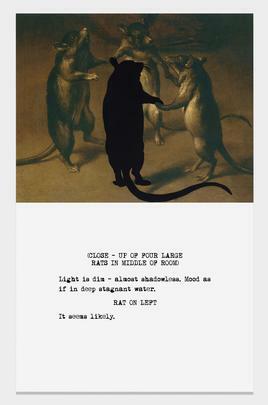 Award for Contemporary Art from the Bonnefantenmuseum,Maastricht. 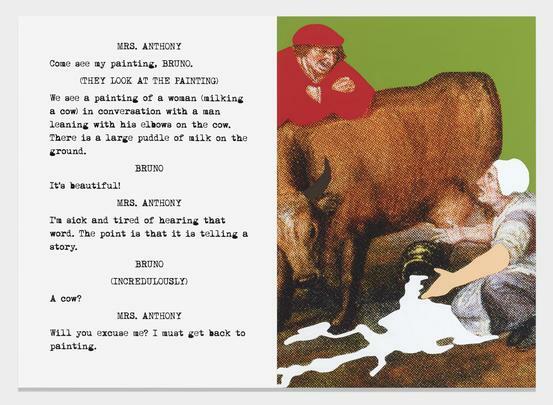 Yale University Press has recently published two volumes of John Baldessari: Catalogue Raisonné: the first in 2012, titled John Baldessari: Catalogue Raisonné : Volume One: 1956-1974 which covers his unique works during the years 1956-1974; and the second, John Baldessari: Catalogue Raisonné: Volume Two: 1975-1986 in 2013. 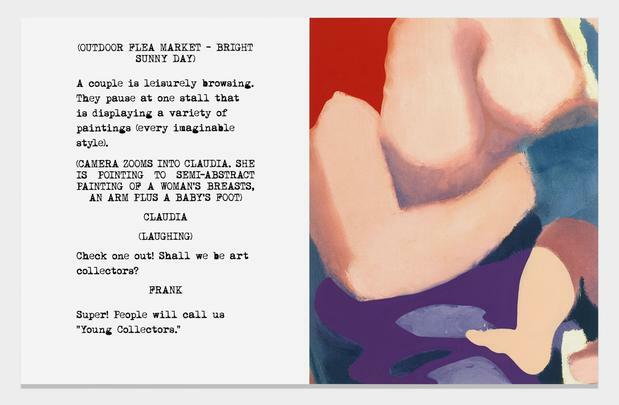 Forthcoming in 2015, Volume Three: 1987-1993 is due to be published. 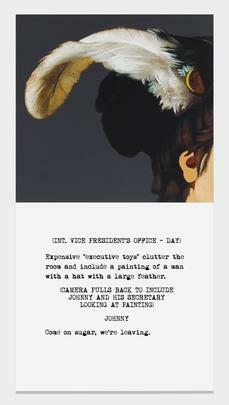 Please join us at the opening reception for the artist on Wednesday, October 22nd, 6-8 pm.